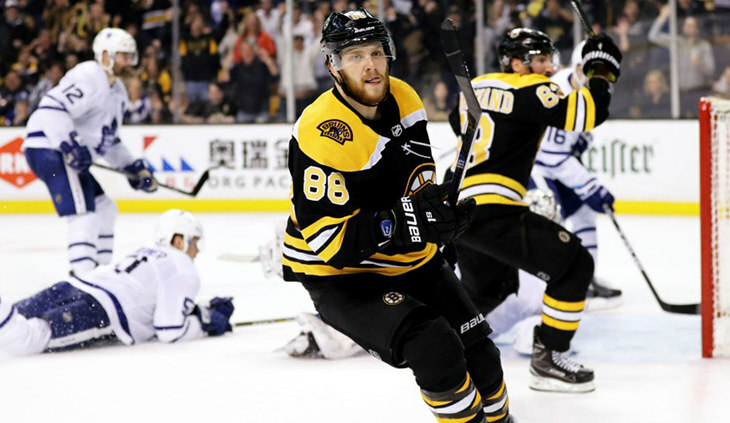 David Pastrnak’s incredible season was upgraded to “Crazy Incredible” on Saturday, the second round draft pick netting his 13th, 14th and 15th goals of the season (that’s 15 goals in 16 games for those keeping score at home), his on-fire Misconducts team commandeering 2nd place in the Cup-chase standings. WARNING: The following content may contain elements that are not suitable for some viewers. Accordingly, reader discretion is advised. Through Saturday, the Misconducts have the best score of the week. Through Saturday, Concussion Junction has the worst score of the week. Tip: Don’t waste your time doing the math. The Central Red Army didn’t do much on Saturday - netting just 8.0 points - but they didn’t have to do much as the Ice Hogs were held to just 5.0 points, GM Buker’s squadron leading the point-parched Hogs by 14.3 with one day remaining in the week. A 14.8 point Saturday put to rest any hope the Boulder Flyers had of a comeback win, the Polar Bears further padding their already well-padded lead, the once-dead-but-since-resurrected Bears now leading by 20.8. With an uncharacteristically heavy seven-game Sunday on tap, the trailing Vegas Vipers still have a shot at upending the leading Wild Ducks, GM Collard’s advantage a tad perilous at 6.2. Note: The Wild Ducks updated score includes a missed Mathew Barzal assist (1.0 point) from a game played on Thursday. Substandard play finally caught up to the were-good Bluliners, the team tumbling to 4th place in the overall standings, GM Hamilton's H2H deficit borderline gaudy as Badger Bob leads by 12.0 points. Lots of good news: The SC Cobras posted a league-best 21.6 points on Saturday, the team moving into 5th place in the overall standings; just 19.0 points back of 1st place. A smidgen of bad news: The Ice Cats were also good on Saturday, the Cats still within striking distance, trailing the looking-over-their-shoulder snakes by just 9.2.